The Centers for Disease Control and Prevention (CDC) were involved in the investigation into events leading up to her death because her blood tested positive for a particular infectious organism. She died from a blood infection and pneumonia caused by Francisella tularensis. Her dog also tested positive for the bacteria. Tularemia — infection with Fransicella tularensis — is caused by a bacteria known to be carried by wild animals. The CDC found a possible connection to rabbits and squirrels around the woman's property. The report from the CDC was issued August 25 in the Morbidity and Mortality Weekly Report. Local health authorities must report cases of infection with Francisella tularensis to the CDC, which monitors trends and investigates potential outbreaks on specific "notifiable" diseases. On June 15, 2016, local authorities alerted the CDC that Francisella tularensis was cultured from the blood of a 73-year-old woman who had recently died from respiratory failure. She had a complicated case history. She had been taking amoxicillin for a dental infection and developed fever, muscle aches, lack of appetite, and diarrhea on June 6. Because doctors also thought she had colitis — inflammation of the colon — she was advised to stop taking the amoxicillin so it wouldn't make it worse. She refused hospitalization at that time, but two days later she was hospitalized for shortness of breath and confusion. 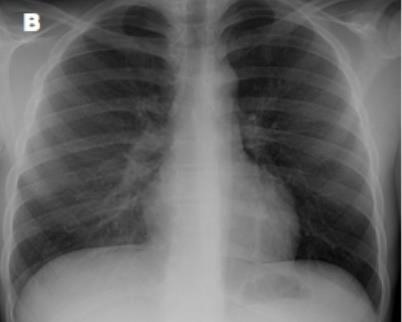 A chest X-ray showed she had pneumonia in the right lower lobe of her lung and doctors treated her with cefepime and intravenous doxycycline. On June 8, her stool tested positive for Clostridium difficile toxin A and B, meaning she had a serious gastrointestinal infection, as well. Despite treatment with metronidazole and vancomycin for that, her condition worsened, and she died on June 11. On June 17, doctors got the results of the blood test done on June sixth, which was positive for Fransicella tularensis. The woman lived in a semi-rural area of Arizona, but did not have any known sources of exposure to the bacteria: She did not engage in outdoor activities, had no known history of insect bites, or exposure to animal carcasses, or untreated water. Further investigation by the CDC uncovered the fact that in late May, the patient's dog had been lethargic and lacked appetite. Three days before that, he had being found with a rabbit carcass in its mouth. The patient and dog had frequent close contact. Three weeks after the patient's death, the dog's blood tested positive for Fransicella tularensis. Tularaemia is a bacterial zoonotic disease, meaning it's transmitted from animals to humans. Humans become infected with the bacteria through bites from insects like fleas, mosquitos, and ticks; direct contact with infected animals, infectious animal tissues or fluids; by ingesting contaminated water or food; or by inhaling infectious bacterial particles in the air. Tularemia has been detected in over 250 different types of animals and it causes serious disease in humans and animals, including rodents, hares, and rabbits. There is no human-to-human transmission route. 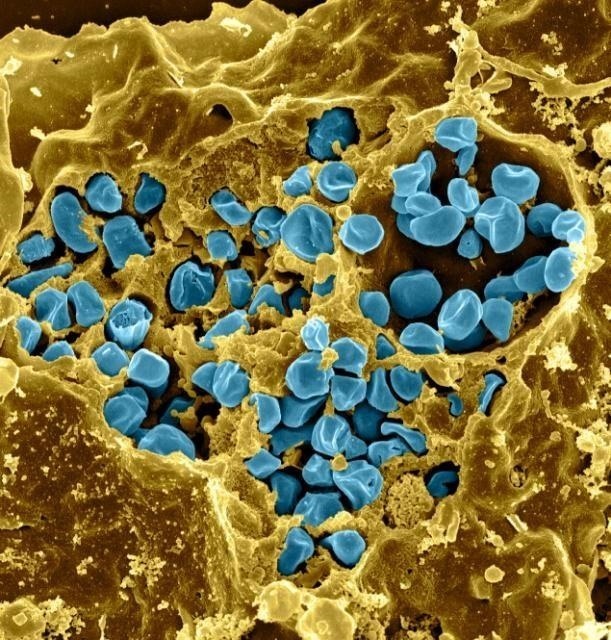 About 125 human tularemia cases are reported in the US each year. Infectious outbreaks of Fransicella tularensis occur in both animals and humans. And human outbreaks often follow outbreaks of the infection in rodents. For example, outbreaks in humans in the former Soviet Union were linked to an outbreak of the disease in common voles. Two subspecies of Franscisella tularensis, tularensis (Type A) and holarctica (Type B), cause human tularemia. A2 strains of Type A are found in the western US and usually causes milder illnesses than A1 strains. Type A is one of the most infectious pathogens known in humans. It takes very few bacterial particles to cause an infection that will kill 14% of the people it infects. The signs and symptoms of tularemia depend on how and where the bacteria entered the body. More than 95% of the infections in Europe are acquired through insect bites, by direct contact with an infected animal, or by indirect contact such as from tools used while dressing animals. These infections result in an enlarged, tender lymph node or skin ulcer. In Turkey, ingestion is the most common route of infection with the bacteria and infected people get red, painful mouth sores and inflammation of the throat. Inhalation of the bacteria is a common route of infection of farmers, and before antibiotics were available 30–60% of people who got pneumonia from Type A bacteria died. Signs and symptoms develop quickly after inhaling bacteria. Chills, high fever, trouble breathing, dry or productive cough, sore throat, chest pain, headache, intense sweating, drowsiness, weakness, and mental confusion. If infection with Type A bacteria gets into the blood from a wound or from a lung infection, high fever, abdominal pain and diarrhea may result, followed by mental deterioration and coma. The disease is diagnosed by growing the bacteria in the lab from blood, sputum, or other infected areas. Mild infections are treated with oral ciprofloxacin or doxycycline. Severe cases are treated with gentamycin, a potent antibiotic. The bacteria had been identified in both the Arizona woman's blood and that of her dog, but both results came too late to save her. It would take more investigation before the primary source of the infection could be identified, or at least surmised. Further testing of animals on the Arizona woman's property found Francisella tularensis DNA in many rabbits and one squirrel carcass, meaning they had tularemia infections. Genetic testing of the squirrel and patient's samples showed they were both strain Type A2. The woman also had pre-existing pulmonary sarcoidosis, a condition where lung cells clump together to make small lumps called granulomas. CDC could not determine if the granulomas contributed to the patient's death, but speculated it might have played a role in the severity of the TypeA2 infection. Infection with Clostridium difficile may have caused some symptoms similar to tularemia's, preventing doctors from suspecting that infection was present, as well. 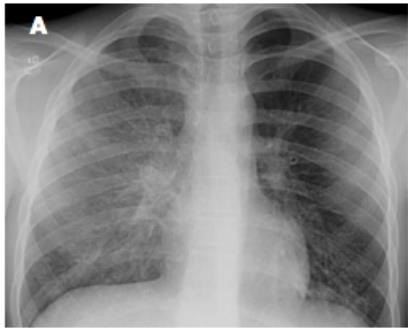 Based on the patient's respiratory symptoms, radiographic findings, and lack of alternative exposure history, exposure likely occurred at her property through inhalation of F. tularensis, potentially via close contact with her dog. The dog might have transmitted infectious material through oral secretions after mouthing an infected carcass or brought infectious material on its fur into contact with the patient. Human illness linked to dogs has been documented. The dog was the likely source of the infection. Researchers speculate he picked it up from contact with infected wild animals. Why the woman died was probably due to several factors, not the least of which were lack of diagnosis and specific treatment for the bacteria. Because of so many factors, including the presence of other infections and failure to suspect tularemia, the woman in Arizona didn't have the benefit of early diagnosis and treatment that might have saved her life. This case is just another example of how we all need to be more careful around the sick pets in our lives. Tularemia is just one of many infections we can pick up from our pet friends.